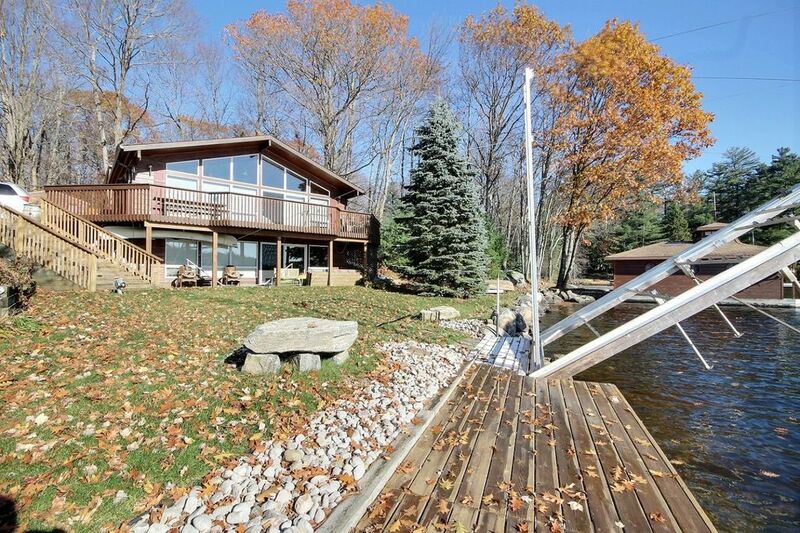 Great south facing 4 bedroom cottage on Lake Muskoka with over 130 feet of shoreline. Featuring a small sand beach for swimming and a dock with deep water. Spectacular views up the lake from the living / dining room, kitchen and Master Bedroom. Master Bedroom features a walkout to the deck and ensuite bath. This cottage has two TVs with Satellite, pool table, rec room, outdoor seating areas, BBQ, flat lot with room to play, canoe and 2 kayaks availalble for use, and plenty of other nice features! Easily accessible and in great location. 20 minutes from Gravenhurst and 15 minutes to Bala. This cottage is managed by local agents, Enjoy Muskoka Realty Inc. TICO Registered #50024360. Guests will be met by one of our staff to turn over keys, give a tour and verify identification. Security Deposit of $1,000 is required. The Security Deposit is not billed at the time of booking and must be paid to Enjoy Muskoka directly prior to check in (Credit Card Pre-Authorization is fine). Please note that 6 people is the maximum allowed and pets are not permitted. Exceptions will not be made and security deposits will be kept for violations. (Thank you). South facing waterfront with a sandy beach area for the kids and deep water off of the dock.